Perform with CD, MP3, USB, software, and iPod. Mixdeck has two large, touch-sensitive illuminated platters and controls for cueing and scratching your music. Each slot-loading drive works with both CDs and MP3 CDs. You can also connect a USB flash drive on each deck for access to thousands of MP3s without taking a computer or CDs to the gig. But these advanced decks aren’t just MP3/CD players – they also work as software controllers. Just connect Mixdeck to your Mac or PC with a single USB cable and you’re seamlessly controlling the music on your computer. Mixdeck's MIDI communication enables you to easily map virtually any DJ software for direct connection from your fingers to software. Mixdeck comes with Serato DJ Intro software and is pre-mapped for Traktor Pro 2 and VirtualDJ Pro, so you'll be mixing right away. Mixdeck’s USB connection also can receive two stereo audio channels from your computer, empowering you to mix software audio with CD tracks. Mixdeck also has an integrated universal dock for iPod so you can play tracks from your iPod and even record your set into the popular portable music device. Mixdeck has a dedicated iPod fader, physical transport and menu controls, and click knob so you won’t have to touch the iPod once it’s docked. Mixdeck has a full-featured mixer built in. Each input channel has its own gain and three-band EQ (+12dB/ -12dB). The mixer channels control the audio from Mixdeck’s onboard players, incoming audio from your computer, or external sources such as turntables, MP3s players and more. Mixdeck has two sets of stereo, switchable phono/line inputs for external sources. Mixdeck’s replaceable crossfader has switchable slope and reverse so you can customize its performance based on your preferences. You can work the room thanks to Mixdeck’s 1/4-inch mic input with its own gain and ±15dB high and low EQ. There’s also a complete cueing section with dual 1/8 and 1/4-inch headphone outputs, dedicated cue gain, and mini-crossfader control. You can keep an eye on your master output levels with Mixdeck’s dual-color stereo LED meters. Mixdeck has a flexible output section too, with balanced XLR and unbalanced RCA stereo Main outputs, as well as Booth and Record outs for sending your mix to different locations and systems including recording to your iPod. There’s also a direct stereo output from each deck for use with timecode control interfaces including Serato Scratch Live software or external effects processors. Mixdeck’s advanced platters are touch-sensitive for superb accuracy and smooth control of tracks on discs, flash drives, and software. The platters’ outer rings illuminate for visual indication of deck performance and mode. You can adjust Mixdeck’s players to perform just like vinyl on turntables thanks to their independent start and stop-time controls on each deck. On top of playing all kinds of music media, both decks enable you to add flavor to your performances with integrated, beat-synced DSP effects that include chop, echo, filter, flanger, pan, and phaser. Each is completely adjustable and a dedicated wet-dry fader controls them all. Mixdeck contains a set of beat and pitch tools that will help you with beat matching and harmonic mixing. Start playing a track and Mixdeck automatically analyzes its BPM (tempo), and displays it on screen. There’s also a Tap tempo button for manual BPM entry. You can alter the track’s BPM by ±6, 12, 25, and 100% using the pitch fader. For each of those ranges, you can also engage Key Lock, which holds the pitch (key) of the track while you independently manipulate its BPM. There’s also a set of pitch-bend buttons on each track for quick tweaks. Mixdeck gives you a complete range of remixing tools for on-the-fly creativity, including seamless looping on a set of easy-to-understand controls, sampling, and easily accessible hot cues. Numark’s familiar Bleep/Reverse gives you the ability to keep time moving forward while you cut or reverse the track. You can play tracks from discs in single-track, continuous, and programmable playback modes for flexible performance. Fader Start enables Mixdeck to start playing the track you have cued up when you move the crossfader for effortless transitions. You can also use Fader Start with compatible CD players connected to Mixdeck’s inputs. Mixdeck features two large, backlit displays for keeping tabs on each deck even in poorly lit conditions. You can monitor BPM, CD and MP3 text tags, navigate folders, and keep an eye on effect status on these big, bright screens. Mixdeck gives you the ability to perform, mix, remix, and record with virtually any popular music media. Whether you play parties, clubs, events, or in a group, Mixdeck gives you the freedom to DJ all in one unit, with the flexibility to add on and expand as much as you like. 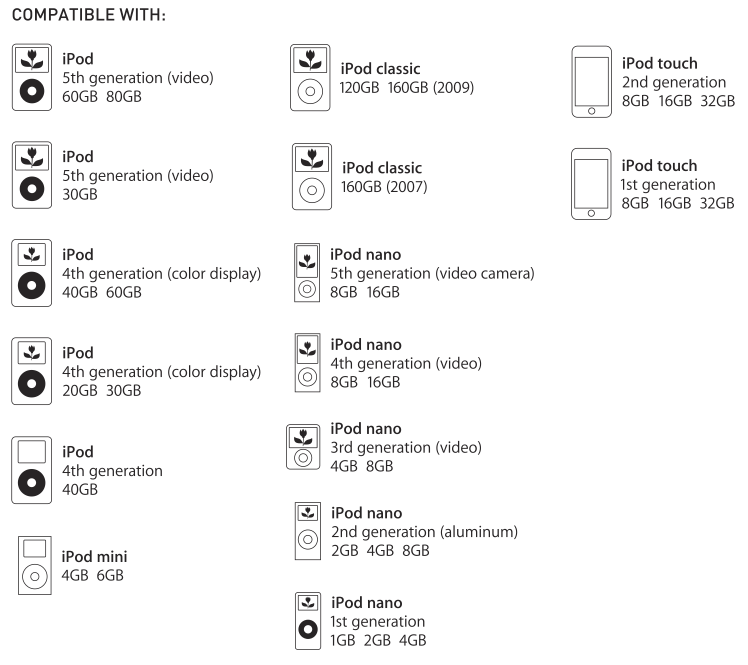 iPod is a trademark of Apple Inc. registered in the U.S. and other countries. Is the mixer MIDI mappable? The mixer is a purely analog design because you may want to mix other sources with software. What is Traktor Numark Edition? Native Instrument Traktor Numark Edition was specifically developed for, and is premapped to MIXDECK. Can I use MIXDECK with Traktor Pro? Yes. A custom map file for Traktor Pro is included on the software CD. Can I use MIXDECK with Numark CUE software? Yes. MIXDECK is a standard MIDI controller, so it is compatible with virtually all MIDI-compliant software. Experienced users can map most functions and we are working on maps for CUE and other software. How does MIXDECK work as a controller? The players can be used in three different modes: CD, USB Drive, and MIDI. When the player is in MIDI mode, information is sent to the computer and then the software returns this to the USB sound interface in MIXDECK. Can I use one MIXDECK deck for CD playback and the other to control software or play from a USB storage device? Yes. Each deck has a source selection switch. What are some of the differences between MIXDECK and other dual-deck CD player/mixer combination units? MIXDECK is the first dual-deck combo unit that also works as a MIDI/timecode software controller, can record and play with iPod, and can play from USB drives. Does MIXDECK have a mic input? Can I run Serato Scratch LIVE (SSL) with MIXDECK? Yes you can, with Time Code CDs and the Serato Scratch LIVE interface box. Can I run USB MIDI and play a time code CD at the same time? MIXDECK was designed to be in dedicated modes only. Are there any limitations to the kind of hard drive I can use with MIXDECK? MIXDECK works with standard USB-compliant hard drives. Some non-compliant hard drives require more power and MIXDECK may not be able to power them. We recommend testing your hard drive to make sure it works properly with MIXDECK before performing. Do you have any recommendations on kinds of hard drives are best for use with MIXDECK? If you are purchasing a hard drive to use with MIXDECK, we recommend selecting one with its own wall power supply. How do I connect the SSL interface box to MIXDECK? Can I scratch and loop music from USB drives with MIXDECK? What kind of flash drives can I use with MIXDECK? Virtually all flash drives will work. Can I use iTunes with MIXDECK? How do I record to my iPod or iPhone? If you are using iPhone or iPod Touch, you can use the built-in Voice Memo app, or virtually any other audio recording app. With other docking iPod models, simply activate memo record. Can I use MIXDECK with Serato ITCH? Serato ITCH is licensed to work with a limited number of integrated exclusive hardware controllers. MIXDECK was designed to be compatible with universal MIDI software. Because MIXDECK is not an ITCH controller, it does not control ITCH. Can I scratch, loop, and pitch songs from iPod with MIXDECK?